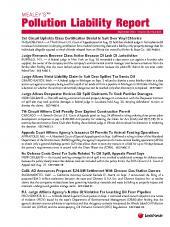 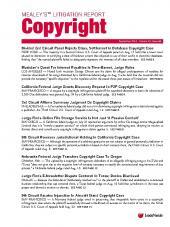 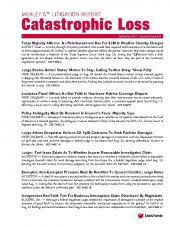 Monthly newsletter on environmental litigation. 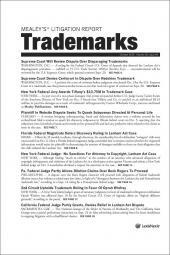 Mealey's Pollution Liability Report covers litigation brought under the Comprehensive Environmental Response, Compensation and Liability Act (CERCLA) and other federal and state environmental statutes, including the Resource Conservation and Recovery Act (RCRA), the Clean Air Act, and the Clean Water Act. 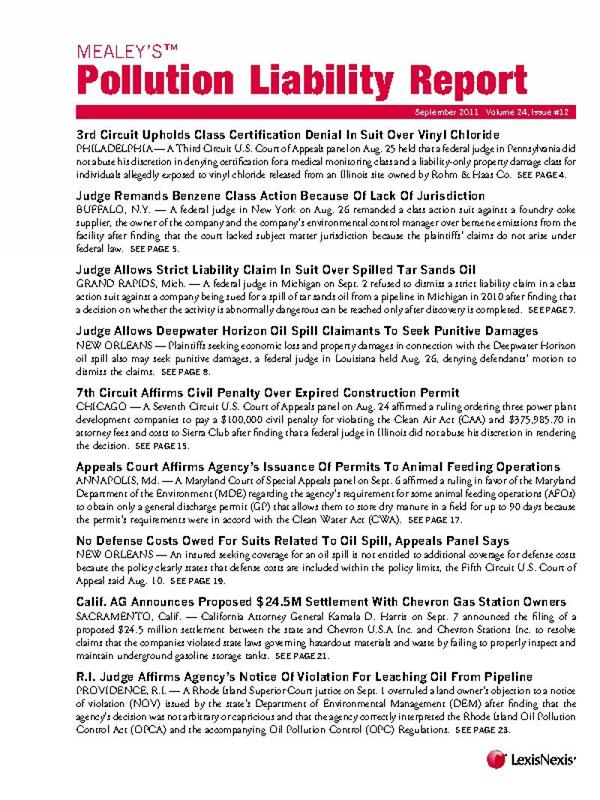 The report also includes coverage of the Gulf Oil Spill multidistrict litigation in the Eastern District of Louisiana as well as other topics such as retroactivity, arranger liability, successor liability, cost recovery, and underground storage tank and MTBE actions.